Can the Police Take Your Gun(s) During a State of Emergency? 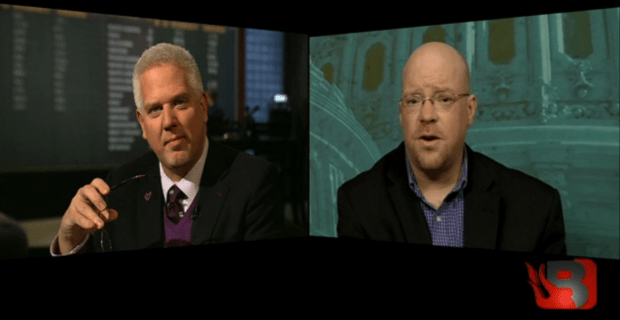 Cam Edwards, of NRA News, joined Glenn Beck on his television program Monday to discuss Americans’ gun rights during a state of emergency. “You need to know your rights,” Beck said. “This is what happens when people’s rights are trampled in an emergency…Somebody takes advantage of that situation,” he later added. Beck went on to air part of a news report about a woman who was disarmed and forced from her home during Hurricane Katrina in New Orleans. Patty Konie explained to officers back in 2005 that her home was dry, she had plenty of food and she wanted to stay in her home with her dogs. However, police did not respect her request and forced her to leave. Further, when she revealed to officers that she had an unloaded handgun, officers tackled her to the floor and confiscated the gun — even though it was a legal firearm. Edwards said it is important that gun owners know their rights, especially ahead of potential disasters like Hurricane Sandy. In 2006, then-President George W. Bush signed an executive order called the Disaster Recovery Personal Protection Act that strengthened individual gun rights during a national emergency. “What we saw locally was the mayor and police chief in New Orleans saying, you’re not going to be armed,” Edwards added. The state of Louisiana also passed their own law that specifically forbids law enforcement agencies of disarming law abiding citizens. “You cooperate, you get the names [of the officers], you get all the information that you can, you hire an attorney and you have that attorney contact the NRA Civil Rights Defense Fund,” he said. Shockingly, some gun owners still have not been reunited with their firearms that were confiscated during Katrina roughly seven years ago, Edwards said. When deciding whether to travel with your gun during a state of emergency, consider where you will be going. If you are traveling to somewhere like a public shelter, you may not be able to have a firearm, said Edwards. As always, be smart and utilize caution when handling and traveling with your firearm.